1. One great thing about Thanksgiving, it hasn’t been so commercialized as to take up the entire month with shopping and preparation, yet it still offers family and friends a chance to enjoy time together! 2. Another great thing about Thanksgiving is the wonderful opportunity we have to praise the One who really deserves all our praise and honor. Most born again Christians celebrate Thanksgiving for a number of reasons, but whether to celebrate is a personal choice. Here are Biblical teachings along with the true history of this national holiday. While the Pilgrims began the custom, it was not established as a national holiday until 1863. God established a peace offering which was to be a ‘thanksgiving offering.’ Under the Old Covenant, the priests ate the offering. The meat of the sacrifice of his thanksgiving peace offering must be eaten on the day he offers it; none of it may be left until morning. Under the New Covenant Christ has made provision for us and taught us to offer thanks to God. Jesus celebrated the holidays that were customs during His lifetime. Thanksgiving is a national holiday due to the efforts of a woman named Sarah Hale. 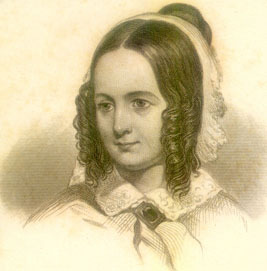 She promoted the idea of Thanksgiving as a national holiday to unify the nation in the time of the Civil War and wrote about the proposal in her magazine. She lobbied President Lincoln to issue a proclamation of the day as a national holiday. The letter is on-file in The Library of Congress and is on-line for those interested in reading. May God be with each of you and bless you richly this Thanksgivings Day, November 22, 2018. God sent His Son to redeem us. How then are we to please Him? He tells us that we cannot please Him without placing faith and trust in Him. The Creator of the universe is pleased when I trust Him! Do we insult and reject Christ when we place our confidence in good works or in what we can do to please God? I think we insult Him, dishonor Him, and ‘yes,’ we reject Him when we fail to live by faith in Christ and the cleansing blood. Also, the Bible tells us that the greatest sacrifice ever made was in vain for those who do not come to Christ by faith. It follows then that we are to walk by faith. Hebrews 11:32 What more shall I say? For the time would fail me if I told of Gideon, Barak, Samson, Jephthah, David, Samuel, and the prophets; 33 who, through faith subdued kingdoms, worked out righteousness, obtained promises, stopped the mouths of lions, 34 quenched the power of fire, escaped the edge of the sword, from weakness were made strong, grew mighty in war, and caused foreign armies to flee. 35 Women received their dead by resurrection. Others were tortured, not accepting their deliverance, that they might obtain a better resurrection. 36 Others were tried by mocking and scourging, yes, moreover by bonds and imprisonment. 37 They were stoned. They were sawn apart. They were tempted. They were slain with the sword. They went around in sheep skins and in goat skins; being destitute, afflicted, ill-treated 38 (of whom the world was not worthy), wandering in deserts, mountains, caves, and the holes of the earth. 39 These all, having had testimony given to them through their faith, didn’t receive the promise, 40 God having provided some better thing concerning us, so that apart from us they should not be made perfect. Romans 4:3 Abraham believed God and it was counted unto him as righteousness. As we see so many old testaments saints who pleased God by faith in Him it is no surprise that the good news or gospel teaches we are saved by grace through faith and there is no other way except to place our faith and trust in the blood of Jesus Christ the Righteous One. Jesus is the way and we must trust in Christ. If this were all that we had been given, it really should be enough, but just as a parent tells a toddler repeatedly that he is to not talk to strangers, our loving heavenly Father tells us that we are SAVED by HIS grace through FAITH! Many religious groups place their faith in working to please God. Indeed, they teach that we must work to be saved. Some are very ambiguous about this as they want to hold to both sides of the coin. Jesus said, however, that we cannot have two masters. We must place our hope in one or the other. To experience eternal life, we must place our faith in the One Person, who is able to save us. An excellent explanation on why the teaching of salvation by works is prevalent in our world is given at Got Questions. There are many groups, Watchtower is one, that teach this heresy. In fact, all religions are based on works. True Christianity is based on faith in Christ Jesus. We have all sinned and Christ paid the penalty for our sin. We will either pay for our own sins, or accept the gracious gift of God. We cannot work off the debt we owe. 2 Corinthians 5:17 Therefore if anyone is in Christ, he is a new creation. The old things have passed away. Behold, all things have become new. These in no way we are able to contribute to our salvation. Christ paid for that on the cross of Calvary. He uses our works to improve or change our lives, but that does not mean our eternal life depends upon our works. It depends upon Christ creating us anew or giving us new birth. John 3:3 Jesus replied, “Truly, truly, I tell you, no one can see the kingdom of God unless he is born again. Great peace and joy is found in knowing that Christ paid the price and saves to the uttermost those who come to Him through faith. Scriptures taken from Bible Hub. If you believe the Bible is God’s word, but you believe Christians put too much emphasis on Christ, then this post is for you. Does scripture teach we are complete in Christ? Absolutely! The psalmist spoke of a time when God would lead captivity captive. Paul says this is fulfilled in Christ. Psalm 68:16 Why leap ye, ye high hills? this is the hill which God desireth to dwell in; yea, the LORD will dwell in it for ever. 17 The chariots of God are twenty thousand, even thousands of angels: the Lord isamong them, as in Sinai, in the holy place. The simplest explanation of “he led captivity captive” (Ephesians 4:8) is to think of captivity as slavery. Paul thinks of the new birth as an enslavement to Christ when he releases us from enslavement to sin (Romans 6:6,16-18).When Christ died, was buried, arose from the dead, and ascended to the right hand of God, he set a host of captives free from sin and took them captive to himself. He continues to do so even today and until he comes again, “that he might fill all things” (Ephesians 4:10). Now if we become captives to Christ, how then are we complete? The beauty of the Gospel and of Christ’s atonement is that while He takes us captive, He then sets us free; free from sin and shame and captive to Christ’s love. We are complete in Him because Christ not only allows us to be declared not guilty, He enabled us to love and serve Him. Christ provides all we need because He is light, food, and water to those who trust Him and He justifies us. When we are placed in Christ, we are under this awesome Authority, yet Christ sets us free from sin and death. There is no greater place to be! A person can NEVER put too much emphasis on Christ! It is in Christ that YHWH makes us complete and we are justified before Him! Roger Sherman (April 19, 1721 – July 23, 1793) was an attorney. He is said to be the only person who signed all four great state papers of the United States: the Continental Association, the Declaration of Independence, the Articles of Confederation, and the Constitution. Sherman was instrumental in securing the addition of “or to the people” in the wording of the Tenth Amendment to the United States Constitution, and caused the cent to be used in the financial system. 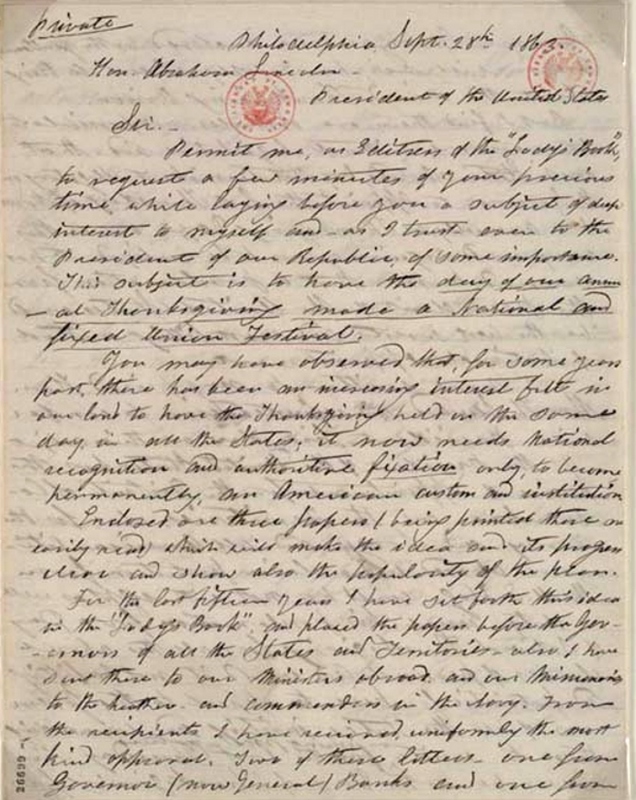 In a letter to Oliver Wolcott (May 21, 1777) he wrote, “I think it dangerous to admit citizens not connected to the army to be tried by a Court Martial”. With the passage of time, and not many papers written by Sherman, we need to look at what he supported to learn his political leanings. It is recorded that he made motions or seconds in reference to the Virginia Plan 160 times. So what was the Virginia plan and what did its supporters believe? The Virginia Plan was drafted by James Madison, and presented by Edmund Randolph to the Constitutional Convention on May 29, 1787. It was a plan for a strong central government consisting of the three branches we know as: legislative, executive, and judicial. It had a flaw; it favored the large states as the plan provided for all states to be represented equally in Congress regardless of size. While Sherman made motions concerning the plan many times, he saw its weakness. The Virginia Plan did favor the large states, but there was an opposing plan called the New Jersey plan that gave all states equal representation. Roger Sherman was the person who proposed a compromise. It was adopted and became known as the Great Compromise. His plan provided for two houses of Congress, one with representation according to or in proportion to the population of the state. The other house would have equal representation regardless of the size or population of the state. This has worked for 237 years and we have Roger Sherman to thank. We hear much talk of our Founding Fathers, what they believed and what they intended for the USA. Most of us can name a few, but who exactly is included in this group and what influence did each have on our history? For my next few posts, I wish to learn who these men are and become better acquainted with each of them and how they helped to shape our nation. Thought.com lists the most well-known among our founders: George Washington, John Adams, Thomas Jefferson, James Madison, Benjamin Franklin, Samuel Adams,Thomas Paine, Patrick Henry, Alexander Hamilton, & Gouverneur Morris. Biography includes John Jay. But for a complete list, see Ranker.com. At Ranker we find all those who had a part in founding the nation. Perhaps you have an ancestor listed here! John Knox Witherspoon, Feb 5, 1723, Gifford, East Lothian, Scotland was a pastor, a professor and a signer of the Declaration of Independence, the Articles of Confederation and ratified of the Constitution of the USA. Dr. Witherspoon was a Presbyterian minister before coming to America in 1768. He became president of the College of New Jersey which is now Princeton University. He was a family man, very committed to his ministry, and he lost a son, James, in a war in Europe. There is much information about his religious beliefs found at Wikipedia, but there is not a great deal known about his political beliefs. It appears that he was dedicated to the cause of independence for the Colonies. Through the years he served in Congress, Witherspoon’s patriotism and judgment won the respect of his colleagues, as evidenced by his assignment to many committees, some of them among the most important. He struggled through these years — not always successfully — to keep the College in session, and he became a frequent commuter between Princeton and Philadelphia. He resigned from Congress in November 1782, when a war that had cost him the life of his son James (who graduated from the College in 1770 and was killed in Germantown) was ended, and peace, with American independence, seemed assured. Everyone is born equal and free. The purpose of forming and submitting to government is to secure the individual rights to life, liberty, and property. Men have the right of revolution when it is called for. The individual acquires property in nature by “mixing his labor” with natural objects. People should have religious toleration for dissenters from the state church. There should be broad legal toleration of competing religious doctrines, including Judaism, Islam, and even paganism. The above was taken from a summary of John Locke’s Two Treatises of Government and A Letter Concerning Toleration.